Hey there Music Movie fam! How is 2013 treating you so far? I have to tell you, I’ve been very blessed by it and we are only two weeks in, so I can’t wait to see what else this year has to offer :). Earlier this week, I had the pleasure of viewing a film that comes out this Friday, January 18th, called LUV starring actor, rapper Common (Just Wright, American Gangster) and newcomer Michael Rainey Jr. With both of the aforementioned delivering powerful performances, the film also features standout performances from Charles S. Dutton (The Obama Effect, Fame), Danny Glover (Lethal Weapon, Mooz-lum), Michael Kenneth Williams (The Wire, Brooklyn’s Finest) and the incomparable, insurance selling voice himself Dennis Haysbert (The Unit, 24). LUV also has a cameo by the talented Meagan Good (Think Like A Man, Deception), and I know my fellow “Sparklelites” will appreciate seeing veteran actor Lonette McKee (Sparkle – 1976, Malcolm X) on the big screen delivering a solid performance as Common’s mother. LUV tells the story of 11-year-old Woody Watson who, with his mother in rehab and his father out of the picture, lives with his grandmother (Lonette McKee) in suburban Baltimore and longs for his family to be reunited. 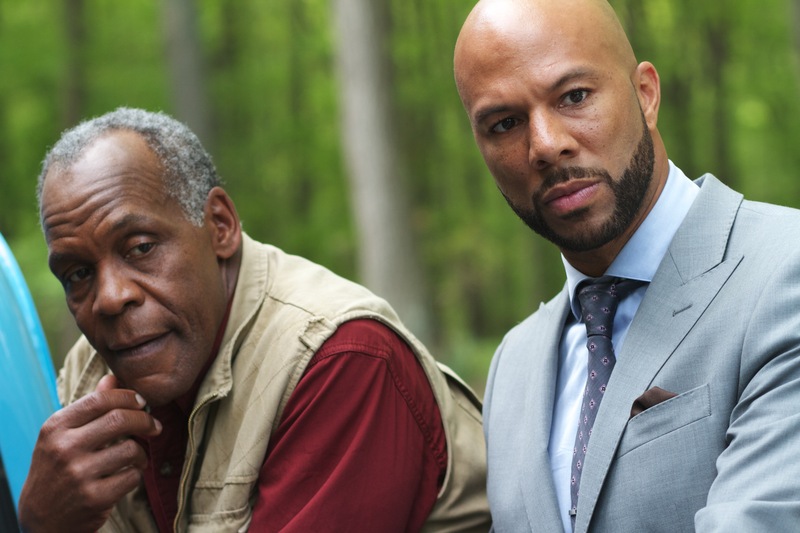 His charismatic Uncle Vincent (Common) has recently returned home after eight years in prison, determined to straighten out his life by opening a high-end crab shack that will establish him as a solid citizen with a legitimate future. One day, instead of dropping Woody off at school, Vincent decides to give the boy a tutorial on how a man gets things done. After a trip to a tailor to get Woody a custom-fitted suit, the pair heads to the bank to sign off on the loan Vincent needs to fulfill his dreams. But when his meeting with a bank officer puts the brakes on his plans, Vincent has no one to turn to for help but his former associates, including Baltimore crime boss Mr. 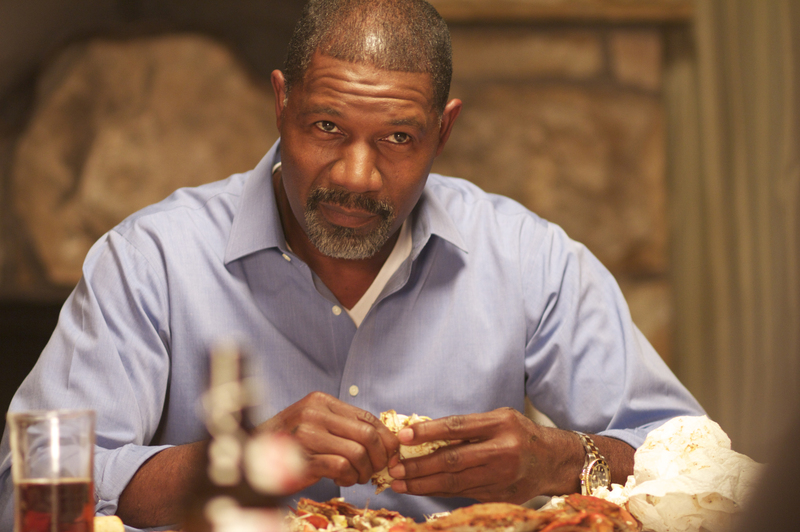 Fish (Dennis Haysbert) and his brother Arthur (Danny Glover). A day that begins with a parking- lot driving lesson and Woody’s first oyster takes a desperate turn when Fish insists Vincent run one more drug deal to demonstrate his loyalty. Soon Vincent finds himself pulled back into the violent world he is trying to escape—and Woody has to decide whether to follow his hero…or become his own man. LUV is the début feature film by director Sheldon Candis, from a script by Candis and Justin Wilson, and is one of the best coming of age stories I’ve seen in a long time. Mr. Candis was brilliant in his depiction of his native Baltimore, drawing the viewer in to the point of eerie familiarity; I swore at times I was looking at Philly streets. The movie also moves well with a 1 hour 34 minute running time, and keeps your attention until its climactic ending. You know I don’t do spoilers, but I will say there are some gritty and violent parts, with adult language, hence an R rating. I would highly recommend this movie for mature pre-teens and teens, as there are definitely some honest lessons to be shared. And for the weeping willows, like myself, you may want to bring tissue (that’s all :P). Now remember, this is an independent film and that means…you guessed it, support it opening weekend! And make sure to do it Friday, Saturday or a matinée on Sunday so those numbers can make the most impact :). You can check out the trailer below, and stop back by and let me know your thoughts after you see the film. ‹ Here’s to the New! Wow. you really got me wanting to see this one, Thomesena. It is good Brian! Will play at the AMC Cherry Hill, Franklin Mills and Neshaminy here locally! I am planning to see it as well. Between you and Mike D letting me know about it and what it is about…it definitely is my kind of movie! Love the new site! Thanks for the update on LUV!